The term “acute aortic syndrome” (AAS) encompasses a variety of different but related conditions, including aortic dissection (AD), acute intramural hematoma (IMH), penetrating atherosclerotic ulcer (PAU), and frank aortic rupture. 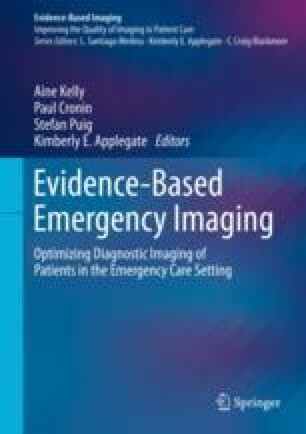 This chapter will review the pathophysiology and epidemiology of AAS and then discuss the most commonly utilized imaging modalities for diagnosis of AAS (CT and MR angiography, echocardiography) and some of the newer imaging technologies used to enhance these standard modalities. Finally, the “triple-rule-out” exam, which aims to evaluate the aorta, the coronary arteries, and the pulmonary arteries in a single exam, is discussed, and evidence is reviewed regarding its utility in the emergency setting.